90 degree horizontal plus 105 degree diagonal view angle keeps more spots covered and facilitates extended view angle, greatly extended the security zone. 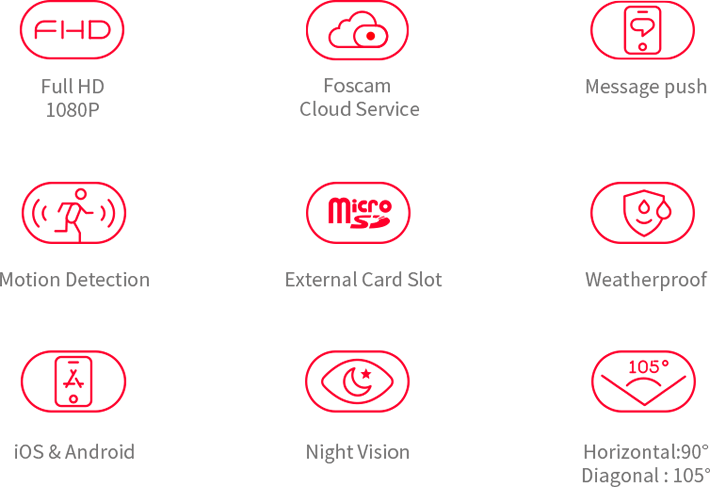 Free Foscam APP is offered for iOS or Android mobile devices, therefore, you can keep yourself updated whenever something accidental happens. 30pcs infrared LEDs enable long night vision distance(up to 20 meters), which enables clear video evidence of theft or intrusion that occur in low-light environment. 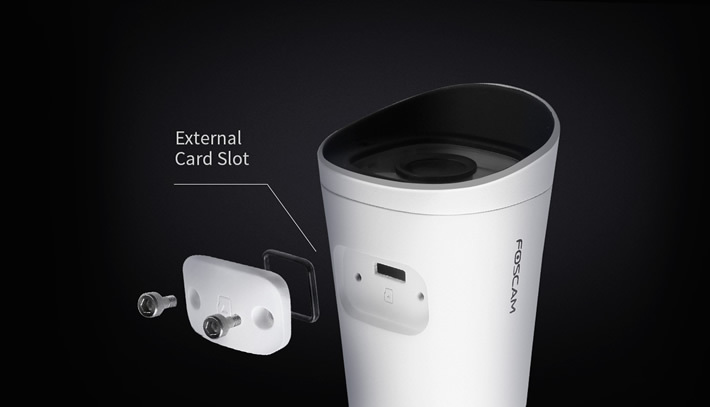 Armed with motion and sound detection system, any suspicious behaviors made by the intruders will be captured by Foscam FI9912P and the clips will be synchronized to smart phone via E-MAIL, FTP or Mobile APP. It takes charge of the responsibility to keep an eye on your house and beloved ones. No more reflections or dark areas with HDR (High-level WDR) technology. No more worries about dark faces in clear light. HDR corrects the lighting automatically and presents a more balanced picture. 1080P HD Video offers a perfect visual display. View your home clearly from anywhere at any time with the help of 1080P full HD video streaming which presents vivid object colors via your computer or mobile devices. The FI9900P has a 2 Megapixel lens to record every detail. At the same time, the FI9900P has a new technology that makes it possible to zoom like an optical zoom lens, but then with a fixed-focus lens. So zooming in and out with almost no concessions to the image quality. By clicking on the picture, you go to our Live Video environment on Youtube. The 1080P resolution can be set manually, in the bottom right corner of the picture. Because of compression from Youtube, the quality of the video can be less than in reality. By clicking on the above image, you go to the Live Stream environment of a breeding area of a couple of peregrines. In collaboration with Evoluon Peregrines.